This course provides all theoretical and practical know-how to create and manage software projects in the Nios II Software Build Tools for Eclipse. 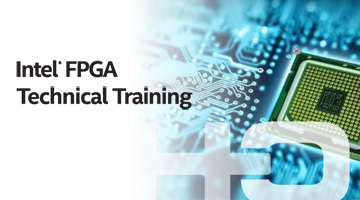 The course starts with an overview of the Nios II processor, a summary of FPGA hardware design flow, and the Nios II software design process and tools. The course then describes in details the Nios II BSP features such as HAL system header file, linker scripts, boot sequence, assessing and reducing code size, and Nios II exceptions. The second part of the course focuses on practical use of advanced debug features such as JTAG debug core, multi?processor systems, and how to measure code performance with performance counter and profiler.